Oooh, Shelley, I just saw this post and had to stop everything and read it! I remember Lazarus from when I was a kid, visiting my grandparents in Columbus! It was magical to go downtown and shop--or even walk through and look. The magic kept holding on to me even when an adult. 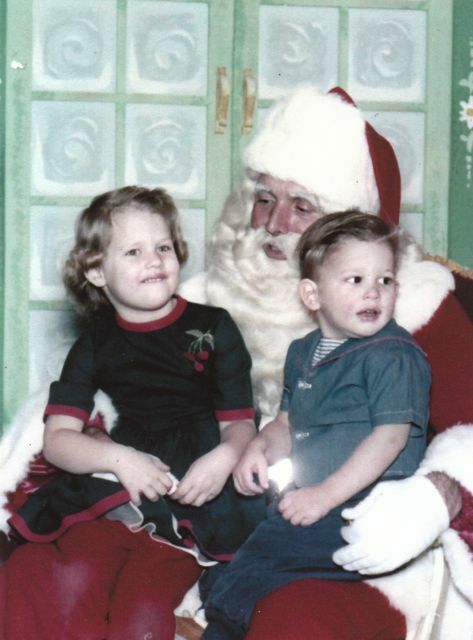 My last time there, I think, was in the early 1990s...our last Christmas with my grandmother after my daughter was born...got our one and only 4 generation family photo...and on the way in to the store from the parking lot in the snow, my husband grabbed me and planted a holiday kiss on me. Unbeknownst to me, the local TV station's cameraman was taking a shot of the snow for the evening news...such fun memories. 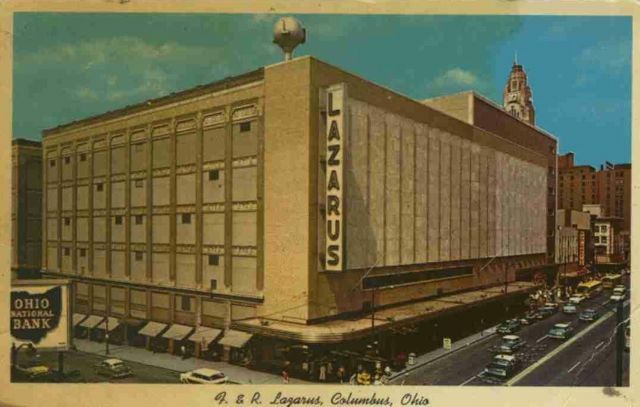 And to think there isn't even a Lazarus in Columbus anymore! Fun memories! Thanks for the post. What a great story, Jacqi! Four generations, falling snow, a holiday kiss, and the brightly lit store--that's the stuff magic is made of. Glad to know my post brought back good memories for you. Thanks for sharing! Such a well written, beautiful post! What a joy! You captured the same anticipation we felt visiting Macy's or FAO Schwartz in New York City. Mother used to tell us they were museums - places to look at beautiful things. How beautifully you described your experiences at Lazarus. I just heard yesterday that there's a new book coming about about the store and its history. I don't know how many photos it will have but surely it will have a chapter on the Christmas windows and toyland. Dorene, thanks so much for your kind words. Merry Christmas! Susan, the museum analogy is wonderful. I'm sure the anticipation of visiting FAO Schwartz had to be huge! Merry Christmas to you, too! Thanks, Nancy. I just learned about that book too- it sounds like it will be a fun read. Do you think it's too late to put it on my Christmas wish list? Oh wow, I didn't know the Lazarus Mr. Tree has his own Facebook page now! What fun. Guess I'm not the only nostalgic one :-) Thanks for reading and letting us know about it, and hope you stop by again. Looks like an amazing store! We had nothing to compare when I was small.